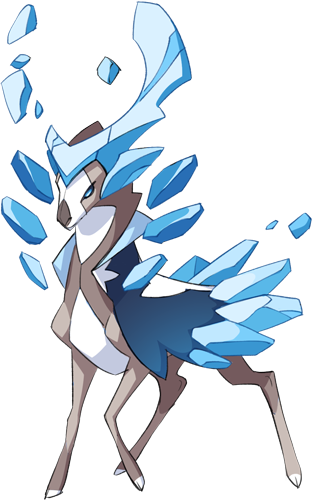 Blizziarc's Spirit Forme. So powerful it has been known to freeze entire seas. Conjures icy glacial barriers, exploding at the target. +60% damage against Frozen foes. Unleashes a blustering geyser of ice. Freezes the target for 2 turns.